Dental implants are changing the way people live! With them, people are rediscovering the comfort and confidence to eat, speak, laugh and enjoy life. Now you can replace single or multiple missing teeth with stable, long-term implants that look, feel and function like natural teeth, as well as preserve your facial contours and help prevent bone loss. The implants themselves are tiny titanium posts that are placed into the jawbone where teeth are missing. The bone bonds with the titanium, creating a strong foundation for artificial teeth. 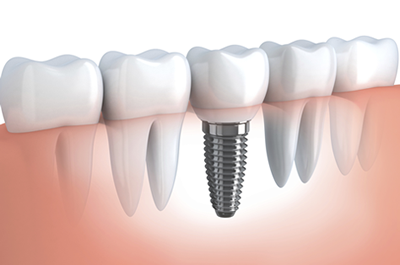 After placement of a dental implant, the implant and bone grow together to give a solid base. Once the implant has healed, our doctors use it to support a crown, bridge or denture for a beautiful smile that functions naturally. Find out how Adams Dental in Madison, NJ, can get you the bright, white smile you’ve always wanted.